Editor's note: This article appears in the 2009 Streaming Media Industry Sourcebook. 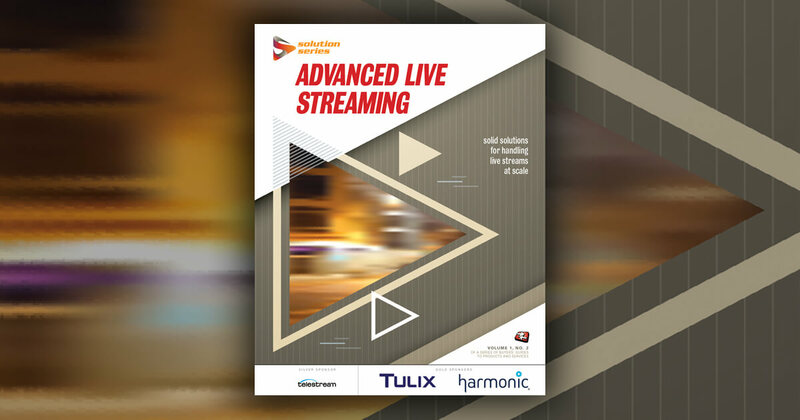 Click here for your copy, with your subscription to Streaming Media magazine. The trajectory of educational video typically follows that of the outside world. But with education, the goals of popularity, audience size, and hits take a back seat to learning effectiveness—at least that’s what we strive for. The questions for educators are to what extent do we follow the trends and how do we make sure that it’s not a snipe hunt or a wild-goose chase. The runaway success of the iPhone and the rise of the inexpensive, ultraportable laptop "netbook" and other wireless devices make it clear that we live in a mobile world defined by access to information unbound by location. Mobile is clearly the next frontier for online media, and, therefore, it is also the next step for educational media. Frankly, educational media is already there, to some extent. Podcasting is really the technology that launched mobile educational media, such that countless schools and universities have gone online with thousands of podcasted lectures and classes. Companies that focus on education, such as Apple, Sonic Foundry, and Accordent, have all rolled out tools making podcasting easier. But does making a podcast of a 1-hour lecture for a student’s iPod really count as mobile media? This is the year that mobile audio and video will move from downloaded podcasts to on-demand availability, whether the device of choice is a mobile phone or a laptop. The line between Wi-Fi and cellular network is getting blurred as devices become equally adept at using either type of connection with less user intervention. Educators have every right to be excited at how these technologies continue to lower barriers for students to access educational content. But books are pretty darn portable too, yet for decades students have found plenty of excuses not to read their assignments. What will compel students to take full advantage of mobile media? Just as the consumer video market is driven by the quest for eyeballs and by efforts to create content that goes "viral," each technological progression also presents new challenges to educators to keep students tuned in, even as it offers opportunities. Thus, my prediction—and one might say, hope—for the coming year is that there will be a sharpening focus on pedagogy, brought on by the ubiquity of media at home, in the classroom, in the lab, and on the go. Motivated students will take advantage of course lecture recordings and other course media. What about less motivated students? How do we reach them and keep them engaged and attentive? The other side of this question is how we can use media production as a learning tool, shifting students from being passive consumers of media to being participants and creators. Mobile tools will be instrumental in this too. At the 2008 Streaming Media East show, I watched video blogger Steve Garfield and the guys behind Qik demonstrate how cellular broadband and camera phones can be used to stream live video from any place in reach of a cell signal. Some schools and colleges are already experimenting with this technology in their journalism programs. But what happens when every student’s mobile device is a two-way device for receiving as well as transmitting live and recorded audio and video to their teachers, professors, and fellow students? The opportunity for students to send audio and video from any location opens new doors for new media literacy and student evaluation. Imagine the old-fashioned language lab taken on the go: A teacher could listen to and evaluate a student’s pronunciation and grammar recorded from any networked location. Or consider the value of a student practicing an oral presentation from his or her mobile phone and then posting it for peer review without having to own a computer or a home internet connection. The future lies not in finding ways to exploit the newest technologies but in looking for innovative teaching and learning methods that are otherwise constrained by the time and geographical limits of the conventional classroom. How can mobile video technology bring the tutorial, the study session, or the instructional video to students using a device they already own and pay for?